Athletes and fitness enthusiasts are more than what they post on social media. Look beyond the pictures, tweets, and posts, back to a time when exercise and sports were done for pure passion as opposed to praise and constant validation! It’s funny how tweets can influence a blog post idea! I can’t tell you how many times someone has tweeted out a simple 140 character sentence that has sparked numerous thoughts in my mind. Even ones that are meant to be sarcastic or funny can get my creative juices flowing! For example, the other day, one of the many comedians I follow tweeted out something a long the lines of…”What did people do for exercise before social media allowed them to share it with all their friends?”. Simple enough….but it really got me thinking. It seems like in the modern era of smart phones, fitness apps, social media, and the huge growth of the health and fitness industry itself…a lot more people have taken up exercise or at least become more aware of living a healthy lifestyle! But the question still stands…what did people do before all this encouragement, community support, and motivation to get their daily movement in? Think about it! The moment you’re feeling unmotivated for a workout, a simple tweet out to your followers can provide you with a flood of messages encouraging you to get going. As soon as you’re done working out, a sweaty instagram pic can provide you with accolades and reassurance that you’ve made a good choice for your body! Before the advent of computers, social media, and the INTERNET in general, people were so much less connected and relied on internal motivation or real face to face interaction to get out there and be active! Also, consider all the information on health that is at our finger tips nowadays! We are bombarded with it on a daily basis and can choose to seek out even more whenever we feel like it. People didn’t always have such amazing access. They had to make a pointed effort to be healthy in a world they didn’t prioritize nutrition, fitness, and overall well-being. It may not seem like that great of a feat, but consider how much being apart of the online fitness and health community has helped you stay dedicated to your own lifestyle and goals on a daily basis. I know personally, that my passion for health and fitness is reaffirmed and re-energized everyday by all the networking I do through social media, blogging, and being online! I give those people a lot of credit who undertook healthy fitness and lifstyle choices before all this communal support was around. So here’s to you, all you athletes of the past! People like Jack LaLane and Jane Fonda who revolutionized the fitness industry and made healthy living mainstream! For the runners who took part in races that were being held for the first time! No spectators, no cheering. Just the pitter patter of feet on the pavement. To the early morning exercisers with minimalist home gyms made up of a few dumbbells and barbells. They embraced strength before the whole ‘strong is the new skinny’ movement was even a concept! For all the marathoners who ran without fancy Garmins, chips for timing, or special fuel products. They just ran, worked hard, and did it for that amazing runners high. Before professional athletes were paid millions of dollars and just played for their love of the game. Back when there weren’t whole magazines dedicated to healthy living and nutritious recipes weren’t a google search away…people had to go out and seek information on their own! Before iPods, MP3s, or smart phones. Back when all you had to listen to during your workout was the sound of your own breath and heartbeat. There used to be no fitness DVDs, no online workouts, and no group exercise classes. If you wanted to stay fit, you were left to your own devices. For the people who used actual stairs instead of Stairmasters. During the time when gyms weren’t as popular, people who were ‘into’ fitness were ostracized, and workout attire consisted of sneakers, a t-shirt, and shorts. No specially made gear, no personal training. Before Crossfit, Barre, and Body Pump. Before the kale craze and the age of juice cleanses. Being healthy meant eating simply, in moderation, and from all the food groups. Back before blogging didn’t even exist. When you couldn’t log onto a computer and see someone else’s eats and workout for the day. People had to draw from their own inner drive to be healthy and happy! All in all, this post is to remind you all about how are lucky we are to have such great resources of support and encouragement in our daily lives. Not only in regards to fitness, but in all aspects of life! I know I truly appreciate any and all connections I make with people who share my passions, values, and interests. 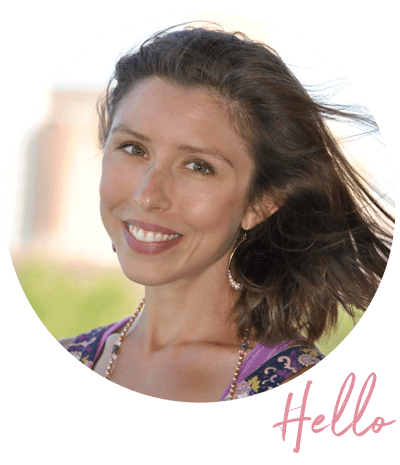 The healthy living blogging community is truly amazing and I think it has the potential to really make a difference in the lives of anyone who finds it. Of course, there are some negative aspects, but overall I think it’s an awesome source of encouragement, inspiration, and accountability to keep in mind what’s best for your body and mind. Ode to Athletes of the Past…before #fitness was #cool! Do you think you’d be living the ‘healthy’ lifestyle you are if you didn’t have the support or modern-day resources that are available today? Do you think it would be harder to live healthfully with out all the modern day conveniences and information we have access to now? Is anyone in your family an ‘athlete of the past’? Someone who made healthy choices long before it was more common to do so? I remember when the jogging craze first started in the 70s . . . . . my mom would go out and jog in her cutting edge neon yellow and turquoise Nike trainers with waffle soles, I was so envious of them. I was in elementary school and would tag along! Athletes of the past really do deserve some kudos, because it’s so much easier today to be motivated to live a healthy life, whether through exercise DVDs, fancy heart rate monitors or health food stores! I know I owe a lot of the healthy choices I make to the modern conveniences that make them simple. I think this is such a cool idea for a post, BTW! Social media can provide some great topics for discussion! Thanks Ash! I am always surprised about how many post ideas I get from interactions online! Athletes of the past are awesome because I don’t know if I’d be able to do all that I do without the internet. I definitely would be awkward about exercising since it was Blogilates that got me started in actual structured work outs. It’s definitely easier to get motivation and information now, so those people had some series drive! Kudos! We are SO blessed to have all of these people who have come before, who broke the ground, who discovered and plunged in and really paved the way for running, hiking, cycling, biking, wrestling, and soooo many other sports. They were certainly a gift from God; I’m thankful that many of them passed down wisdom and inspiration to many of us. I read Born To Run earlier this week and I loved the stories the author shared of runners who do ultra races where there is no promise of any glory or of winning anything except deeper respect for their own abilities. Thank you so much, girl!! That book sounds AMAZING!! I need to check it out for SURE.